With decent weather comes work on my house’s exterior. 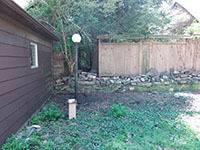 This spring, the main project has been my backyard, doing preparation to enclose it with a fence. When we moved in I inherited a host of yard tools, which was fortunate, as the backyard was completely overgrown. 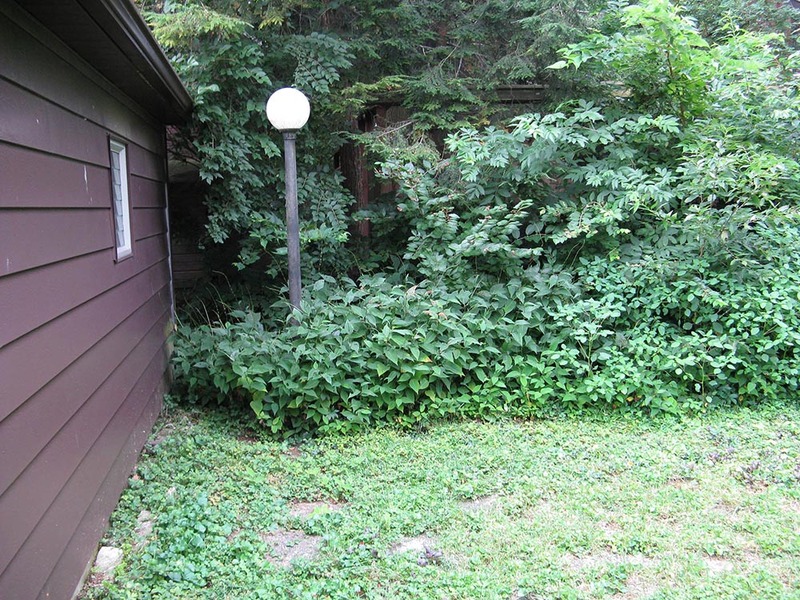 Lamp posts well inside the corners of the yard were almost completely hidden in brush. I made an intial pass at the yard that year, cutting back huge portions of brush and even taking a well-worn chainsaw to some saplings. I had a veritable palisade of brush stacked on my parkway when I was done. 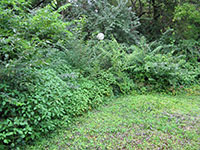 Over the next five years, however, the backyard got scant attention: little other than occasional broadleaf killer, coupled with letting the grass grow tall enough to overshadow and outcompete the bugleweed, creeping charlie, and violets. This spring, then, dealt with what surprisingly little brush had grown back over those intervening years. A new chainsaw (not prone to throwing its chain) let me fell the volunteer trees — completely hidden in the ‘before’ photos, and mere stumps in the ‘after’ — as much as eight inches in diameter, and more than a halfdozen in number. The side hedges fell with similar ease to hedge clippers and several pairs of lopping shears. 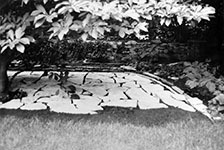 Ivies, creeping charlie, and milkweed were literally pulled out by the roots wherever possible, with liberal doses of herbicide applied where manual extraction was impossible.  Stone would provide the requisite un­expected difficulty. Instead, I found stone everywhere I dug, buried beneath a very shallow layer of dirt. 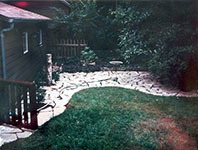 These stones extended almost a third of the way into the back yard and along the entirety of the west edge of the yard. They were beneath tree roots, in need of prying out prior to stump grinding. They were stacked as many as four deep, as I excavated remains of hidden portions of that elevated garden wall. Anywhere there would be a fence post, there was already buried flagstone. With my friend Will’s help, I amassed quite the pile of stone along the concrete stoop at the back. Nearly all the stone you can see piled there in the photos above came from the lawn itself; only a few pieces were present beforehand. 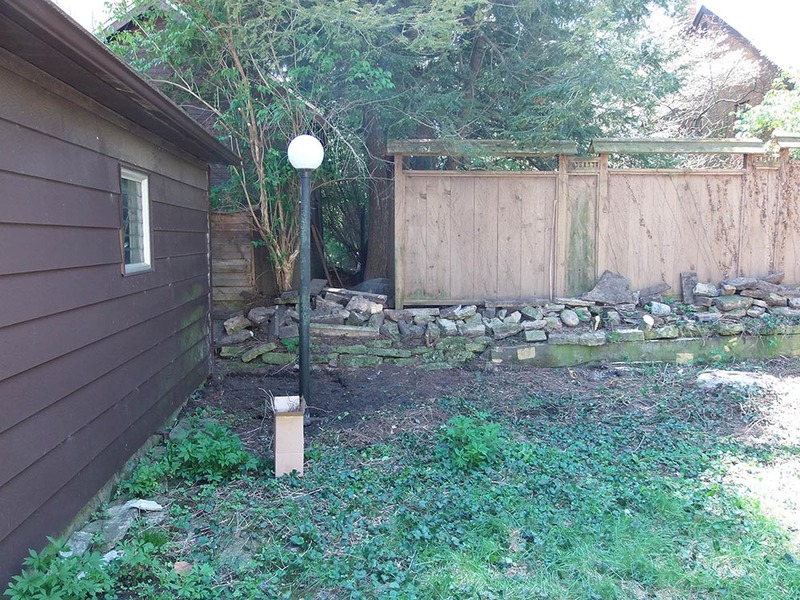 During the great attic cleanout I’d uncovered pictures of how the house and yard once appeared — at the time, I assumed most of the pictured rockwork had been removed. I went back to the photos to find out the true extent of what I was working against. What I found was at once impressive and disheartening. 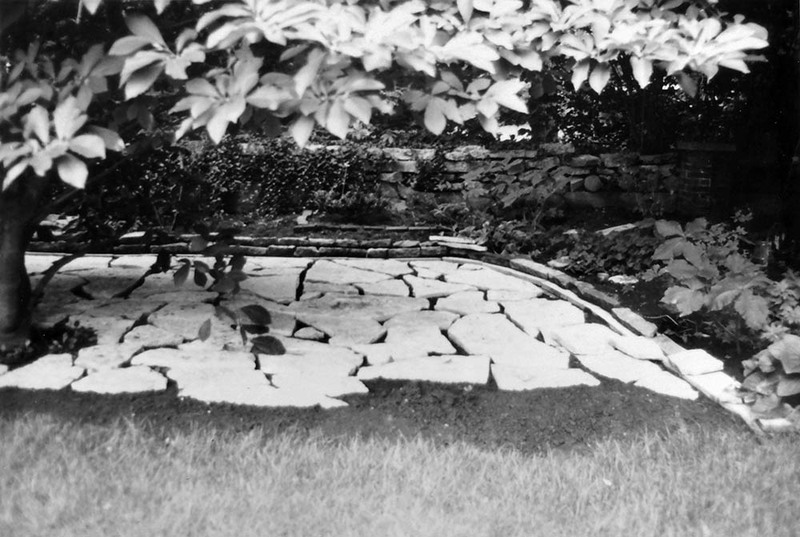 There had once been a beautiful flagstone patio in the back yard, with raised edges along a garden. The black and white photos are from August 1971. 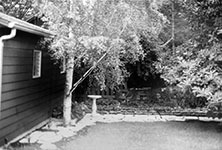 In the decade that followed some questionable work was done, replacing the classic birdfeeder with a modern aluminum piepan instead, and cutting down all but the bottom three feet of the birch near the garage. The color photo shows these changes, and appears to date to May 31, 1982. 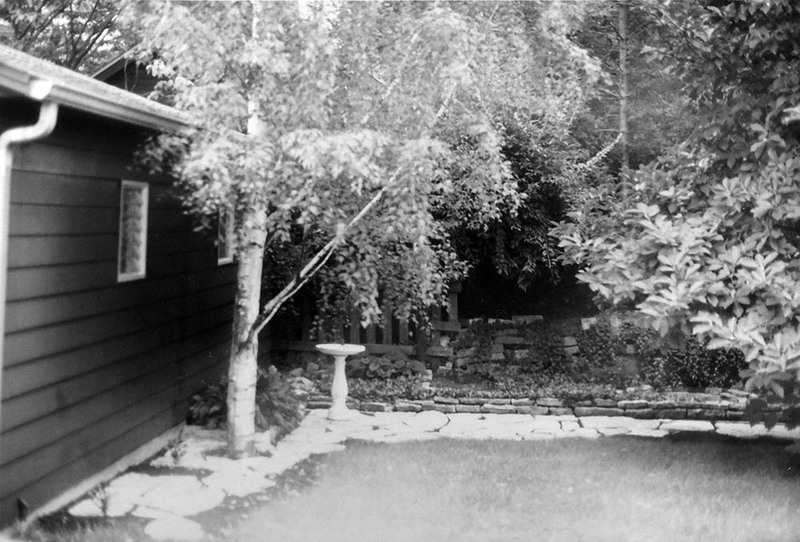 The patio was also expanded during this time, out to what appears its maximal boundaries. 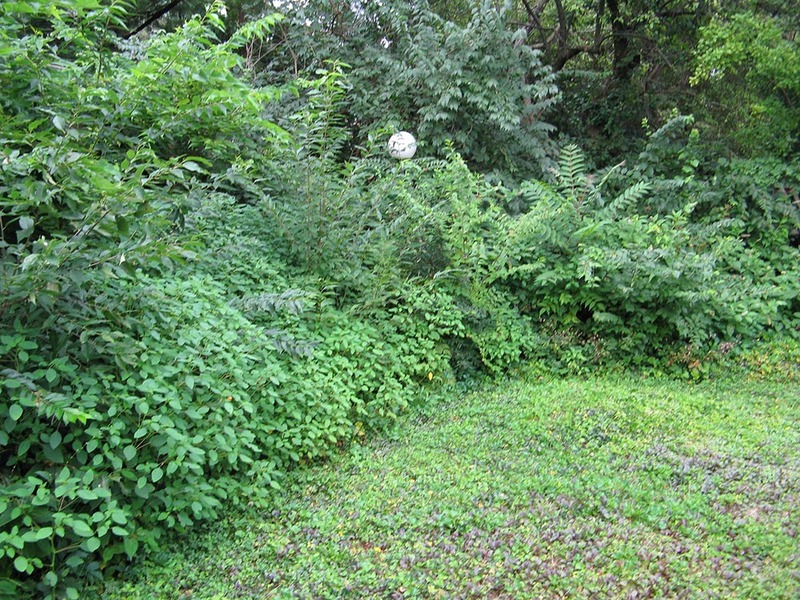 Some time in the thirty years that followed, it would be allowed to become overgrown. As far as I can determine, these three decades of growth and decay would eventually leave the very thin soil that hid the majority of the cobbles. 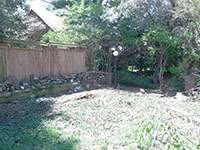 At this point, the remaining work — grinding the stumps, chipping the brush, and installing a fence — is in the hands of contractors. 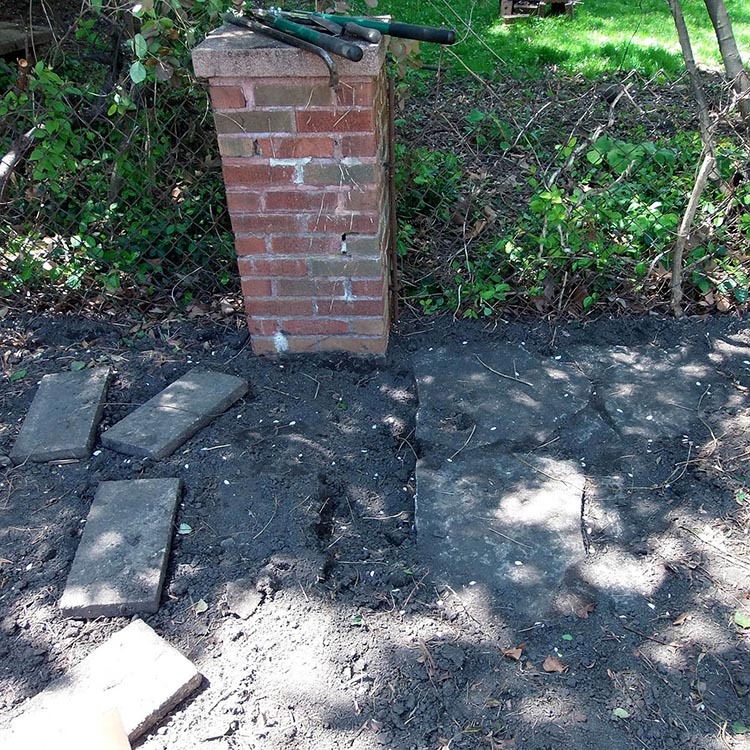 It’s possible I’ll want sod laid in the rear half of the yard, on top of the remaining stone, as an alternative to trying to dig out every last piece, but that too would be something to hire out.